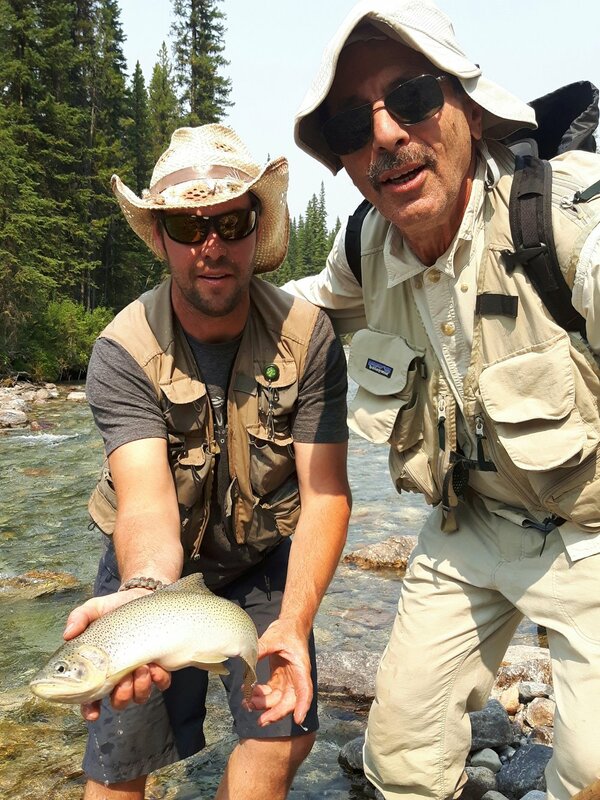 The East Kootenays is renowned for its world class freestone fly fishing for wild westslope cutthroat trout, bull trout and rainbow trout. The lakes, river systems and their tributaries in our area produce beautiful large trout thanks to superb aquatic ecosystems. Gillnockies Guides will take you on a scenic float trip on any of these world famous freestone rivers … the St.Mary’s, Elk, Skookumchuck, Bull or Wigwam rivers. You can expect to land any of the trout species found here depending on the season and is a classic trip for any level of fly fishing fanatic. Here you will enjoy the peace and serenity of the Rocky Mountains and the anticipation of landing some of the most amazing wild trout found anywhere. During the summer months we enjoy the best dry fly fishing imaginable with lots of action. Expect to catch fish 14 - 20 inches for cutthroat trout and bull trout up to 75 inches. Please contact us for more details regarding our fly fishing trips.